Chris Cohen has been involved with music for virtually his entire life. Formerly the drummer in Ariel Pink's Haunted Graffiti, his stint as bass player in Deerhoof was accompanied by a walk-on part in a Sonic Youth video. It's as a solo songwriter, however, that Chris Cohen has truly excelled - just go listen to 2016's wonderfully affecting psych-pop miniature masterpiece 'As If Apart' for proof. Taking time over his next step, Chris Cohen's new album is his most personal yet. Self-titled, it was spurred on by a huge rupture in his family environment. Written and recorded in his Lincoln Heights studio and at Tropico Beauties in Glendale, California, 'Chris Cohen' is a beautifully judged return, so assured and so melodic. 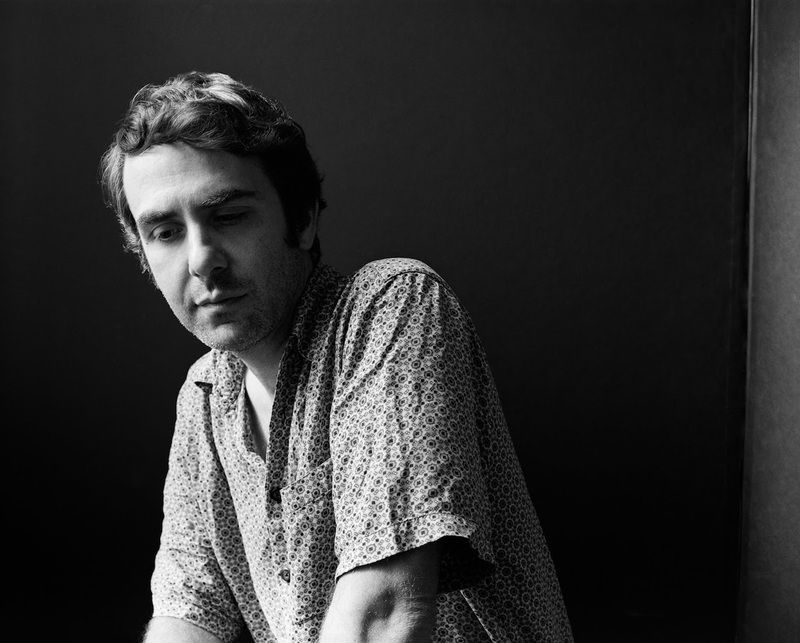 Clash caught up with Chris Cohen to discuss his deepest musical roots, the albums that form his Foundations. I have very deep feelings for this record and go back to it often. The beats feel so great and the recording is beautiful. It’s maybe my ideal in terms of mixing... Junior Kimbrough's music is very strange to me - I can’t follow where the bars begin or end, he jumps back in where you least expect him. What he plays is complicated but there’s nothing flashy or attention getting about it. You might not even notice how the meter’s constantly changing. It just follows the natural cadence of what he’s singing, without trying to stick to a previous musical form. I read that the label that recorded it thought it was ‘too country’ and didn’t want to release it. I’m so glad it did get released later, this is one of my most treasured albums. I especially love the song 'Done Got Old' which is very dreamy, the openness of the chords and how the bass and guitar have these kind of extra notes in them. I find the lyrics kind of surprising too, they’re very frank. He sings about his body failing in a matter of fact way. I listened to it constantly as a teenager. They represented everything I wanted to be as a young musician. They weren’t afraid of being different. They were rippers but they also deliberately made crazy music. The mood of songs like 'Aurora Borealis' or 'We’re Here' is something I’ve tried to copy many times. Like all the great records there’s an aura around it... All of the little wrong notes and nuances of their playing have been burned into my brain forever. I loved going to see the Meat Puppets play. When I was in high school (early 90’s) I saw them maybe half a dozen times, they were touring a lot and their shows were always so funny. I had a VHS tape of The Tour which was SWA, Saccharine Trust, Meat Puppets, Minutemen and Husker Du and I especially watched the Meat Puppets part over and over again. Cris Kirkwood’s stage moves made a big impression on me - thrashing around in a completely different rhythm from the song. Curt Kirkwood’s solos were virtuosic but also full of wild and ill-advised tangents, that’s something I definitely internalised. Probably him and Neil Haggerty are my favourite rock guitarists of that (and this) era. The way it uses space and disparate stylistic elements- somehow all of the pieces never stick together- it’s like he refuses to present the fiction of a band or of the recording process. The different sounds just hang there and resonate with each other. This album is visionary in terms of style too - it’s like he invented the 80s but in 1978 - and it's a lot darker. I love all the Scott Walker albums though I’ve missed the last couple ones. He’s a hero to me in the modernist mould - always going his own way, somehow out of step with the world he comes from. I would also put 'Climate Of Hunter' and 'Tilt' up there in this category. I often think of these records when I’m recording and their sense of montage - they sound like half of the tracks got erased and were replaced with something from another song... like there’s more than one level or like the artist is dubbing themselves out. Often when I’m out of ideas or something’s not working, I’ll go back to this and it's always useful - you strip things away and begin again, but without trying to make it all sound like it happened together. You get these layers of time and they work against each other. To me Burt Bacharach and Hal David are a certain pinnacle of what’s possible in popular song - extended harmony, free approach to meter, the most exciting phrasing and melodies - heartbreaking and heartwarming. If I could write even one song as great as anything they’ve written I’d feel like my work was done. I also worship Bacharach as an arranger - his use of space and the way he combines instruments and how they respond to each other. He makes it look and sound so easy. Having one of their songs stuck in your head feels so natural and stimulating to your brain, like we were made to listen to it. A big part of my writing process is analysing other people’s music and Bacharach music has been endless fodder for me - his songs are so good to try and figure out the chords, the way the keys modulate, where the downbeats land. It reminds me of why I love music and the limitless possibilities within a fixed framework. I feel similarly about Brian Wilson and about Holland-Dozier-Holland - these are the giants for me of pop music. I just chose Bacharach because people of this generation maybe don’t talk about him as much, but all three of those are very powerful inspirations for me and for many of the same reasons. I only understand a few lyrics here and there but there’s something I really connect to. The sound of his voice and the kind of plaintive melodic turns, the lush, exotic guitar chords, the odd-metered rhythms... his music is really dissonant and it's a hybrid of tropicalia, jazz, music from India, he’s an ex-60’s rocker from the band El Kinto. I hope to do something like that with my music - to bring all of the different things I love together and make something new. I love all the Eduardo Mateo records I’ve been able to get my hands on - particularly the later ones like 'La Mosca' and 'Mal Tiempo Sobre Alchemia'. My friend and collaborator Zach Phillips turned me on to him. I hope some label will reissue all of his great music soon. 'Chris Cohen' will be released on March 29th through Captured Tracks.